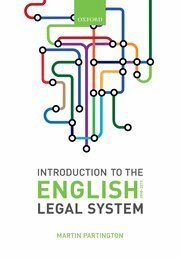 I argue in my book that change is the key to understanding what is currently happening to the English legal system, and within that the legal profession. In January 2016 the Law Society published its own challenge to the legal profession, looking at current trends and how they may have developed by 2020. Changes to legal services will have an inevitable impact on the solicitor profession. We have identified the key drivers for change in the current landscape of legal services, and attempted to predict how solicitors’ and lawyers’ interests may change in the future, where they will face competition and what opportunities may present themselves in a changing market. They clearly take the view that the current model for the small ‘high-street’ practice has little future, particular as current practitioners retire. It is not a sustainable model for the future. The Law Society notes that 25% of practitioners now work as in-house counsel, so the amount of reliance of the corporate sector on firms of solicitors in private practice would seem to be reducing. At the same time, the Law Society is convinced that imaginative and innovative lawyers will be able to develop new forms of legal service which will both offer them a living and provide a needed service to the public. The report reinforces the view that students coming new to the study of law will have a lot to keep up with if they are to understand the professional world they may hope to enter in just 5 – 6 years’ time.